Happy Weekend!! 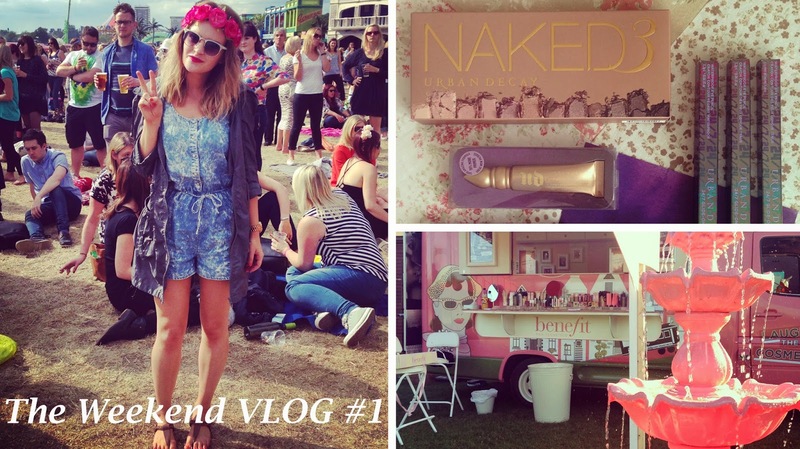 I thought I'd kick this Saturday off with a VLOG from last weekend which includes a sneak peek into my job at Benefit, a very exciting Urban Decay haul, big blogger breakfasts and British Summer Time festival! Needless to say it was very jam packed and I'll be sure to capture more of my summery weekends soon, so make sure to subscribe here if you want to see those. Now though I have a weekend full of working Bene-events followed by a couple of days off for my boyfriend's graduation. Have a lovely time whatever you're up to! ooh will have to give this a watch! Fab vlog :) I love your blog and I have followed you with Bloglovin, if you ever get a chance to check out my blog I would be delighted, thanks!